A woman from Raymond was taken to the hospital with non-life threatening injuries. 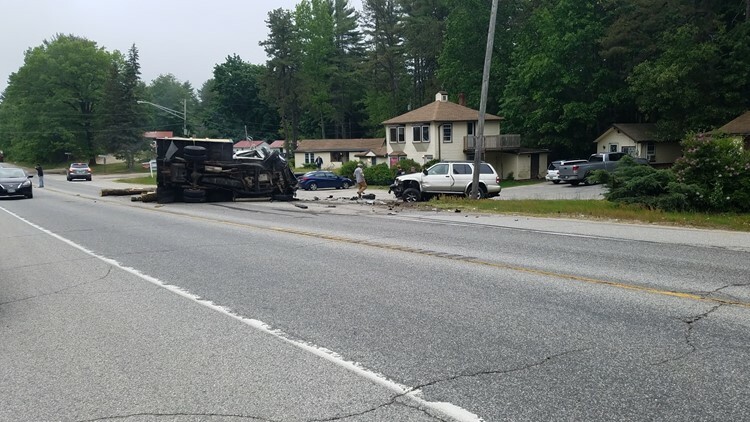 WINDHAM (NEWS CENTER Maine) — Police in Windham are investigating a three-vehicle collision that resulted in one person being taken to the hospital. The crash happened on Route 302 near Lakehurst Avenue shortly after 6 p.m. Tuesday. Police said one of the drivers, Rachel Lorraine, 40, of Raymond, initially left the scene on foot but was later found by officers. She was taken to Maine Medical Center with non-life threatening injuries. The drivers of the other two vehicles — Matthew Wakefield, 38, of Hollis Center; and Wayne Chevalier, 39, of Raymond — did not complain of any injuries, police said. According to police, Lorraine's vehicle was heading west and both Wakefield and Chevalier's vehicles were headed east when they collided. Police said they believe alcohol was a factor and that charges will be forthcoming. Route 302 in that area was closed for about three hours.